Elegantly expressive, this 2019 Jaguar XJ XJ50 turns even the most discerning heads. SANTORINI BLACK METALLIC, HEATED WINDSCREEN, Valet Function. *Packages That Make Driving the Jaguar XJ XJ50 An Experience*Trunk/Hatch Auto-Latch, Trip Computer, Transmission: 8-Speed Automatic, Transmission w/Driver Selectable Mode and Sequential Shift Control w/Steering Wheel Controls, Systems Monitor, SiriusXM Satellite Radio System -inc: HD radio, Side Impact Beams, Remote Releases -Inc: Power Cargo Access, Remote Keyless Entry w/Integrated Key Transmitter, 4 Door Curb/Courtesy, Illuminated Entry, Illuminated Ignition Switch and Panic Button, Rear Fog Lamps, Rear Cupholder, Rear Auto-Leveling Suspension, Rain Detecting Variable Intermittent Wipers, Radio: Meridian Digital Surround Sound System -inc: (825W), InControl Touch Pro Navigation System w/real time traffic, 10 touch screen display, InControl Protect (SOS emergency call w/automatic collision detection, optimised assistance call and stolen vehicle locator, Subscription product, active for warranty period, Renewal required thereafter. ), InControl Remote Premium (upgraded InControl Remote App including remote start, remote climate control, remote lock + unlock and remote beep + flash, Subscription product, active for warranty period, Renewal required thereafter. ), InControl Apps which allows JLR approved partner's apps from user's smartphone to be used on vehicle touchscreen, InControl Pro Services and Wi-Fi Hotspot (Live services: news, finance, sports, Google send to car, weather and flight tracker and voice dictation (excludes navigation), WiFi hotspot and live services includes 3GB or 3-month (whichever comes first) trial, Renewal required thereafter. ), Bluetooth, interactive voice control and 2 auxiliary power points in rear, Radio w/Seek-Scan, In-Dash Mounted Single CD, MP3 Player, Clock, Speed Compensated Volume Control, Aux Audio Input Jack, Steering Wheel Controls, Radio Data System, DVD-Audio, External Memory Control and 60 Gb Internal Memory. 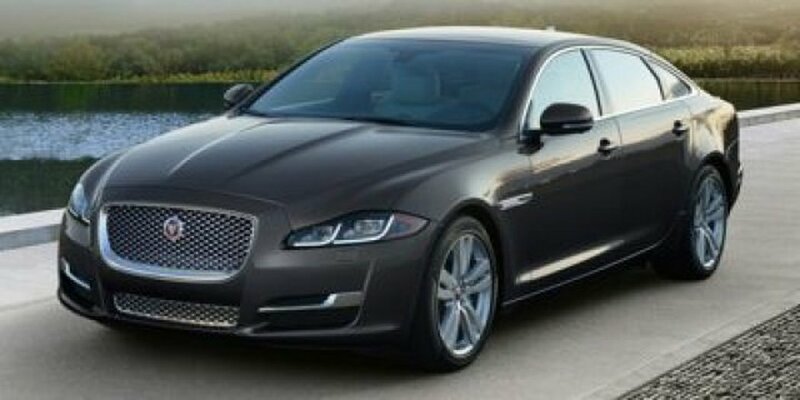 * Stop By Today *For a must-own Jaguar XJ come see us at Jaguar Land Rover Lakeridge, 280 Achilles Rd, Ajax, ON L1S 7S3. Just minutes away!Prices include all fees except licensing and HST.